This firm represents those accused of serious criminal complaints like felony drug offenses, felony assaults, and domestic violence. Felony charges represent the most serious types of crimes, and Colorado has six different classes of felonies, some of them carrying tremendous penalties. Felony crimes can result in sentences, not to county jails, but to state prison facilities. Felonies are different from lesser crimes, which are called misdemeanors, and carry up to two years in a county jail facility (four years is possible if aggravated). Many criminal offenses can also be charged as either a misdemeanor or a felony. If you are accused of a felony, you should speak to criminal defense attorney to learn more about your rights, your defenses and any factors that may change the outcome in your case. 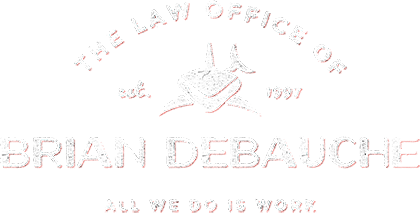 The Law Firm of Brian DeBauche, LLC conducts extensive investigation on Colorado felony crimes, and will aggressively defend you against any complaint by police that you were involved in such matters.